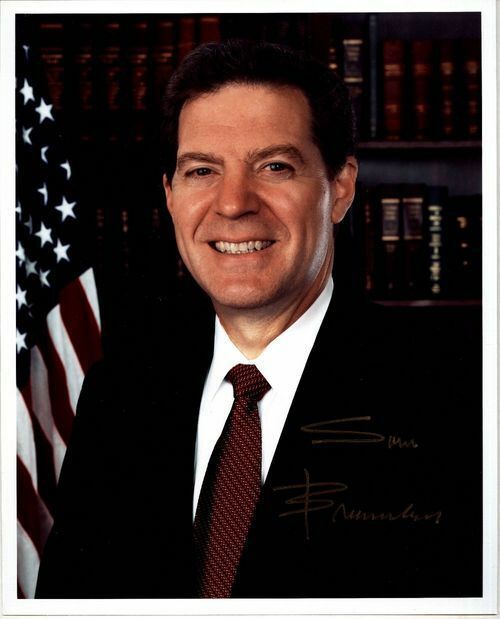 A formal portrait of Kansas Senator Samuel Dale Brownback. Brownback, a member of the Republican party, began his political career in 1986 when he became Kansas Secretary of Agriculture; a position he held until 1993. In 1994, Brownback was elected to the U.S. House of Representatives from Kansas's second congressional district and served for two years. In 1996, he sought and won the senatorial race to replace Bob Dole, who had resigned from the Senate to run for the U.S. Presidency. In the general elections of 1998, and 2004, Brownback was successfully reelected. Because he believes in term limits, he did not seek reelection to the U. S. Senate. In 2010, he entered the Kansas Governor's race and won.